Electra hotels & resorts is a renowned Greek luxury accommodation brand. 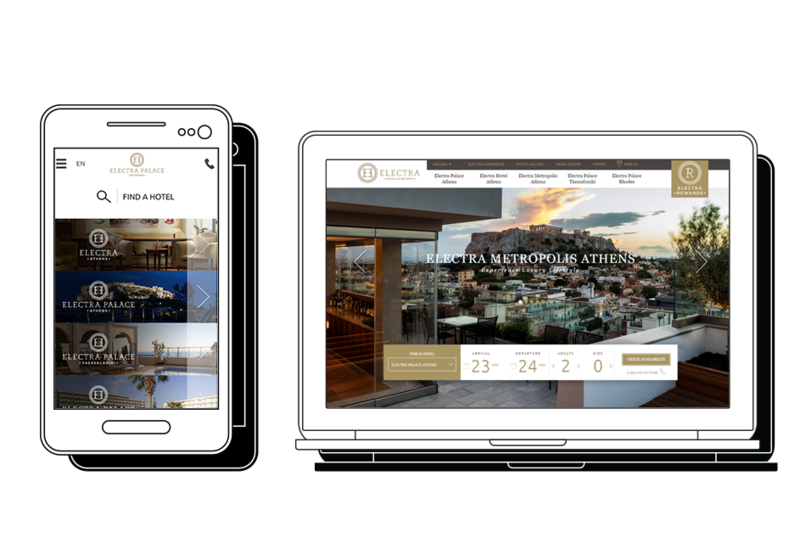 For their new digital presence they asked us to design and develop an umbrella web site to house the brand’s 5 luxury hotels & resorts. 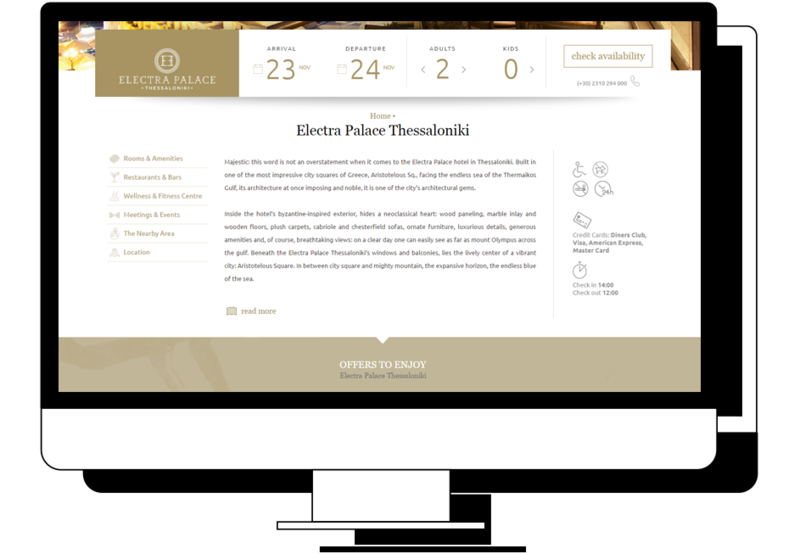 We were asked to design and develop a fully flexible content managed web site as well as a top notch booking portal to accommodate and handle the group’s booking and offers strategy. We designed and developed a content rich umbrella website for the brand’s luxury hotels, all housed under the same url. The web site features a splash page to direct users to individual hotels, all presented within the web site. It also features a central booking platform and interface. 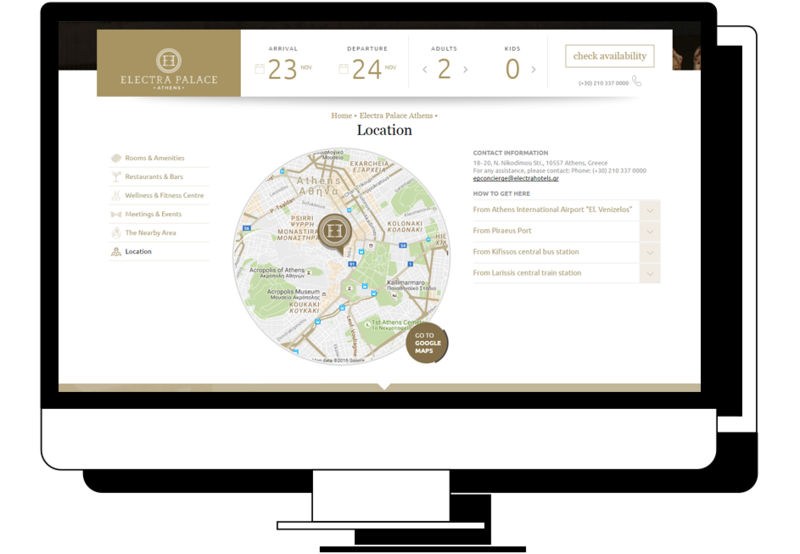 The site is designed for maximum impact through rich imagery as well as specific up to date information on rooms, amenities, events and special offers. The site is available in desktop and mobile.